The future of smart urban mobility is here. With radical economic diversification, shifting demographic paradigms, sustainable responsibility, an increasing youth population and a rise in tourism, investment in transportation infrastructure has become a top priority. Worldwide, cities are striving to reach smart urbanisation and mobility. The Middle East and North Africa are pioneering the future in this space and Middle East Smart Mobility is here to explore the technology and innovation for urban mobility and emerging smart transport infrastructure models. 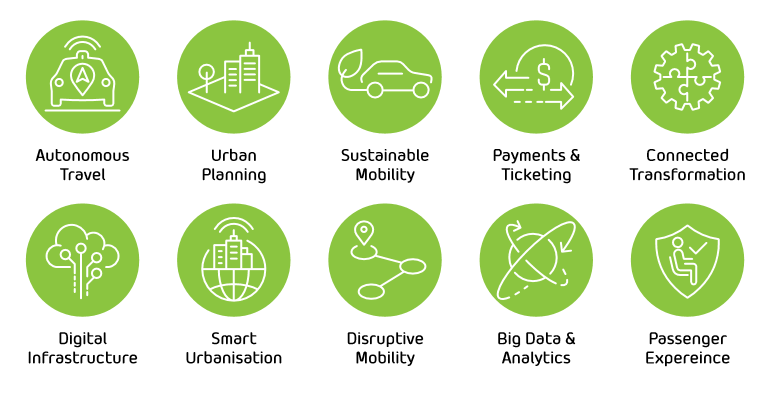 Transport operators, governments and suppliers are applying new delivery models, alternative funding sources and advanced mobility solutions to meet goals for interconnected, technologically integrated cities and systems. Government authorities and regulators are recognising the transformative effects of smart urban planning and mobility and are applying new policies, frameworks and standards for execution and engagement. Amongst this rapid and forward-thinking rate of innovation, expansion and change, numerous innovative mobility projects are on the horizon. The Middle East has therefore emerged one of the world’s most exciting markets and a key region to establish strategic partnerships.